Alexandre Turpault brings a revolutionary vision into the traditional French Art de Vivre, while cultivating a 21st century new Conviviality that matches our quick paced evolving lifestyle. Alexandre Turpault offers sincere and durable tablecloths in a varied palette of material, colours and patterns to be mixed and matched together : long fiber pure linen with Teflon stain release treatment for most of our products, sateen and fancy weave in 100% cotton coated and printed by the best Italien master printers. 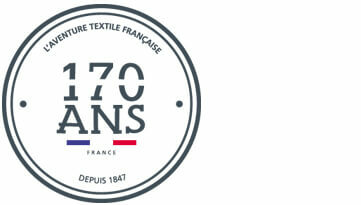 Alexandre Turpault offers a wide range of luxury tablecloths, square-shaped or rectangular-shaped for all occasions. Collections are made of 2 different materials. 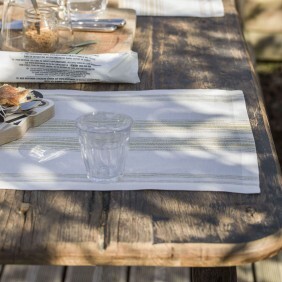 You will find in our tablecloth range : pure linen tablecloth and cotton tablecloth. 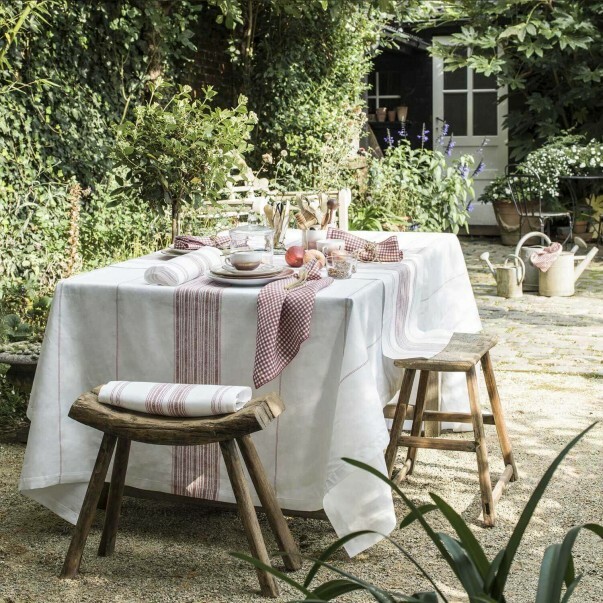 Our elegant pure linen tablecloths are made of plain pure linen with long fibers and are woven, stained and embroidered in France. 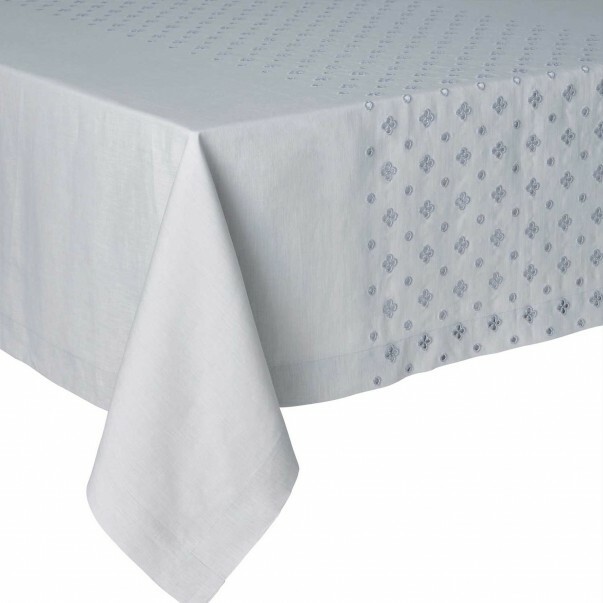 You will find in this range our stylish FLORENCE tablecloths: timeless, plain, with an elegant hemstitch finish. 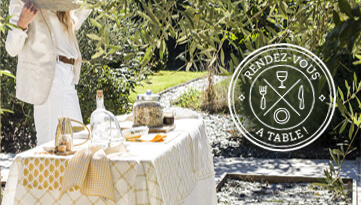 Our luxury tablecloths are printed by the best Italian printers with anti-stained treatment. 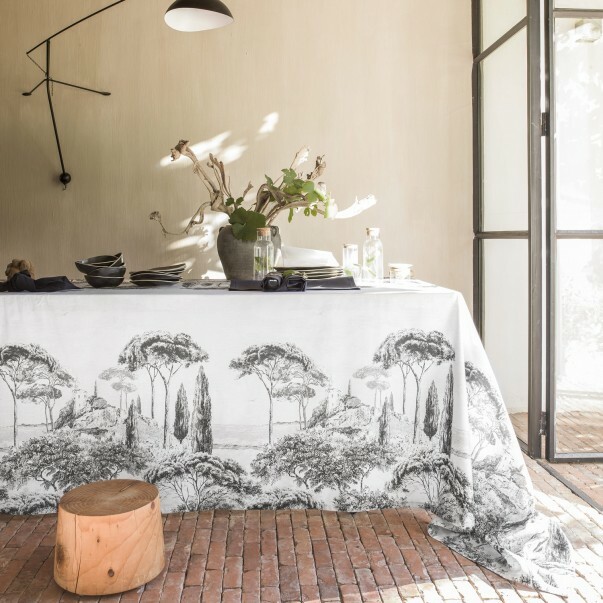 Finally, our cotton tablecloths are printed with more modern and more graphic patterns, in a large choice of colors and cultivate new 21st century conviviality at your dining table. 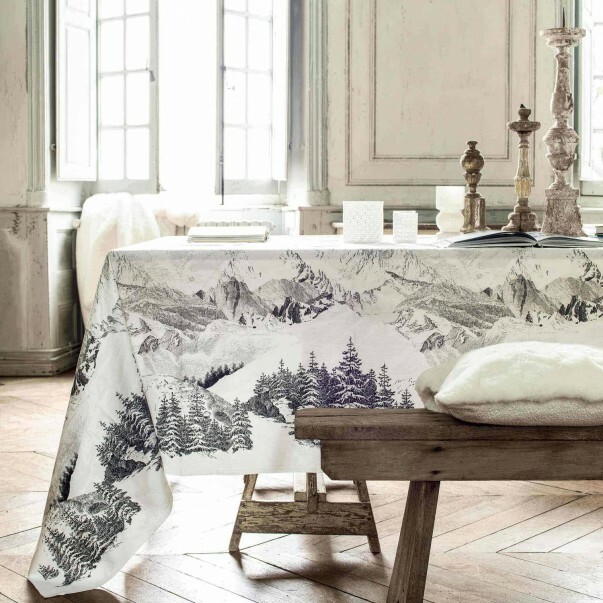 Alexandre Turpault offers stylish tablecloths for each home and each table. Our tablecloths are available in different sizes. You can find square-shaped tablecloths, rectangular-shaped tablecloths and even tablecloths that can fit large rectangular tables with extensions. 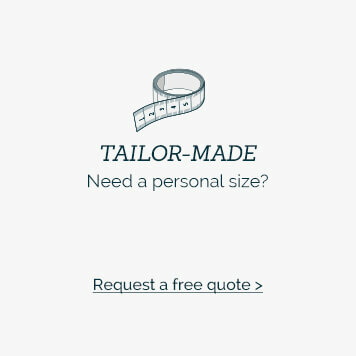 Furthermore, our tailor-made service allows you to ask for a tablecloth that will perfectly fit your table. Please contact our customer service for any special request. 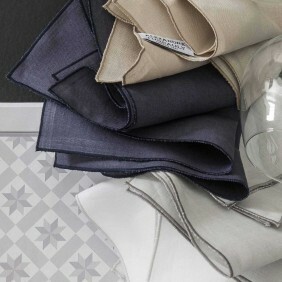 Linen tablecloths and cotton tablecloths have the most luxurious feel and appearance. Linen and cotton are natural fibers that make durable tablecloths becoming softer with use. The difference between the two materials comes from the lighter feel and whiter color of the linen with the time. To make your Alexandre Turpault luxurious tablecloths easy to clean, we chose to give them the best treatments. 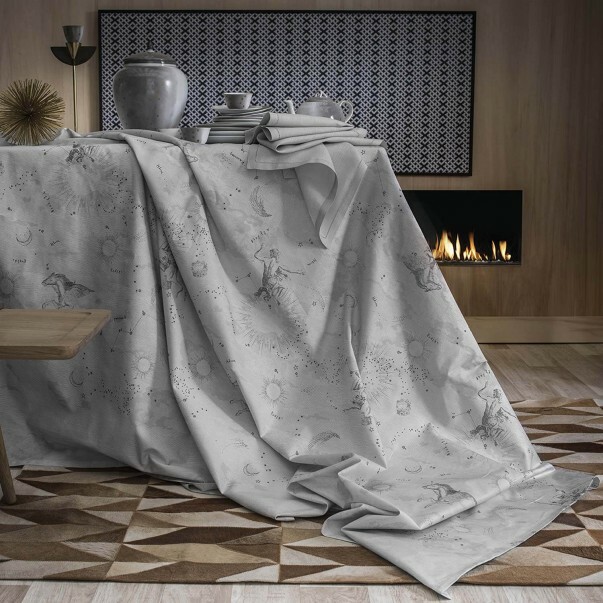 Our luxurious linen tablecloths are recovered of a Teflon stain release treatment, enhancing the stain release while keeping the textile touch of your tablecloth. Whether it’s for your home, wedding, family event, or a special occasion, Alexandre Turpault offers the perfect tablecloth for your needs. 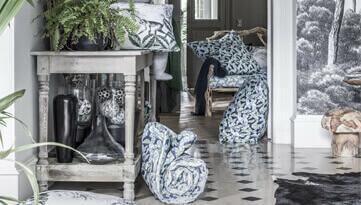 It is important consider some attributes to choose the perfect tablecloth. First, you should choose your tablecloth according to your table shape. If you have a rectangular table, choose a rectangular tablecloth, if you have a square table, choose a square tablecloth. Then, you should choose your tablecloth model according to what decorative atmosphere you want to create in your dinning room. 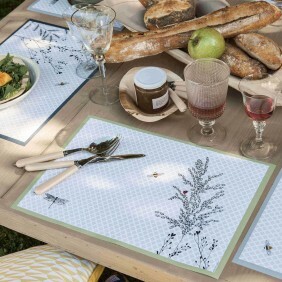 Whether you want to use a tablecloth for a family dinner, for your daily use or for an outdoor barbecue party, Alexandre Turpault Tablecloths will help you creating a special decoration for all occasions while always staying stylish and elegant. 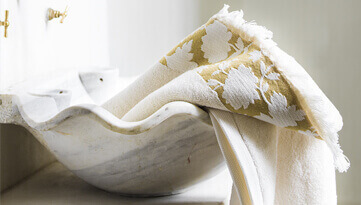 For a classic look, dress your dinner table with a tablecloth of neutral color tones. For seasonal gathering such as Thanksgiving or Christmas dinner, you can use brighter patterned tablecloths to dress your table.